Brush off your best cowboy boots and get ready to ride off into event success. Promote your gathering with the Western Poster. 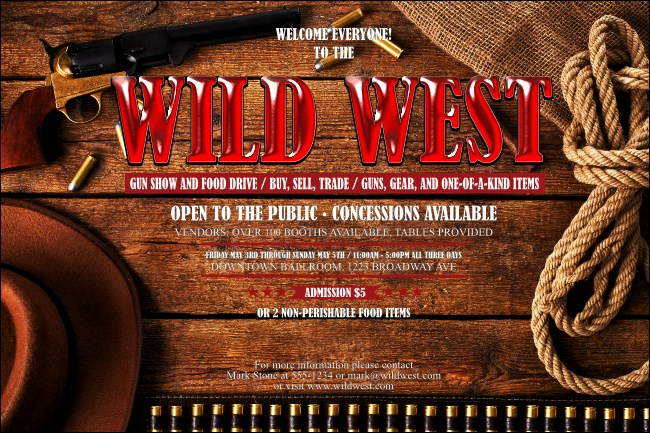 Bullets line the bottom of this vivid design, with a hat, gun, and rope framing your event details. This template works for rodeos, gun shows, or cowboy-inspired events. Browse TicketPrinting.com for more inspired designs!